The question no one is asking is why all these people, all of a sudden? Did millions of Muslims across the Middle East and Africa get a text message that said, go now? This is clearly orchestrated, and as I previously reported, ISIS warned Europe of an invasion of “migrants.” This, too, is an act of war. How many jihadists are among the hordes? 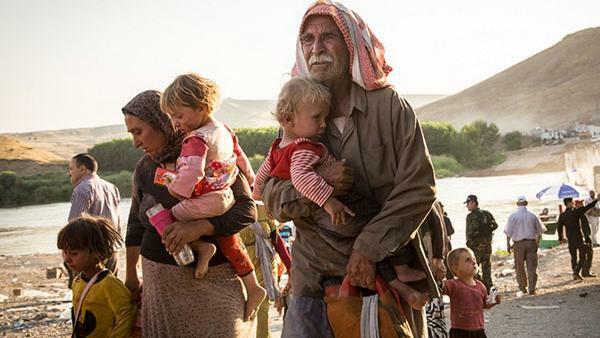 Normal refugees are starving, shell-shocked women, children, and old men, fleeing with nothing but the shirts on their backs. This current batch of “refugees,” however, is dominated by hordes of healthy looking young men, who somehow managed to hang onto their selfie-sticks, expensive smart phones, and calling plans. If you read beyond the heartrending Leftist headlines (or “weaponized emphathy“), you will see that the real stories make it clear that this is an invasion of Muslims picking up where their forebearers left off in 1683. Islam has always wanted Europe. And speaking of which, this is all Obama’s and Europe’s fault. All of it. Like the scorpion, Islam is what Islam is. Just as water will force its way through any available seam or crack, so too will jihadists. It’s what they do. The only way to prevent them from engaging in their innate behavior is to corral them within their own borders. The Middle East pre-Obama may not have been a very nice place, but it was quiescent. With Obama’s response to the so-called Arab Spring, all the boundaries are gone. Obama pushed out a stable leader in Egypt; unleashed horror in Libya; destroyed the peace in Iraq; did nothing to aid the Green movement against the mullahs in Iran; and, out of that same deference to the mullahs, allowed Bashir Assad to proceed unchecked in Syria. In other words, wherever he could, Obama fomented the spread of Muslim violence and terror within the Middle East. His manifest goal was to advance the interests of both the Muslim Brotherhood and Iran (a conflicting goal admitted, because the former is Sunni and the latter Shia), leading one to conclude that he intended for the Middle East to explode and, like a ruptured, infected pustule, to spread its poison everywhere. So why do I blame Europe too? 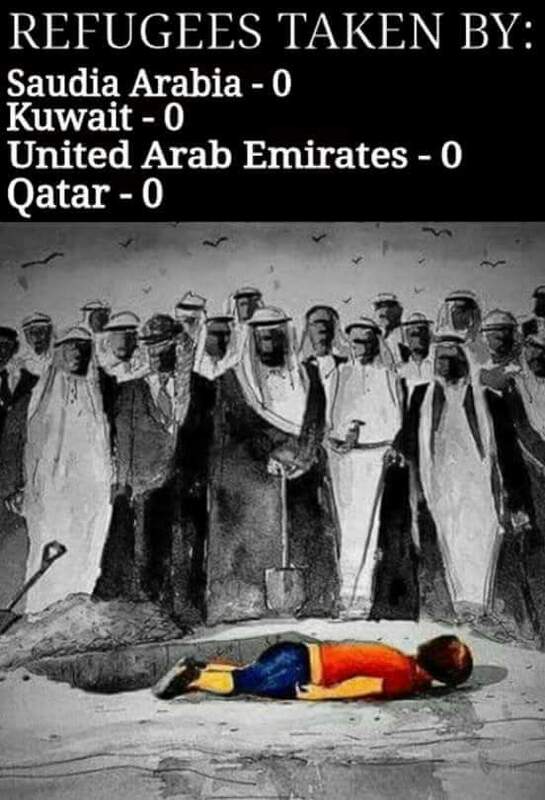 Because Europe has spent the last forty years funding the worst elements in the Middle East, both to keep the flow of oil heading its way, and to destroy those living Jews in Israel who are an ongoing reminder to Europe of each nation’s complicity in the Holocaust. After all, even those nations that were themselves victims of the Nazis gleefully helped the Nazis round-up and slaughter Jews. Europe is also a reminder to be careful what you wish for, because you might get it. Europe wanted a Judenrein continent. Well, as matters now stand, their malevolent oral and financial attacks on Israel will have succeeded, once and for all, in driving the Jews out. But by empowering the Muslims, their tactics will also drive out the Europeans, whether by turning them into refugees, or through their slaughter, conversion, or enslavement. But Bookworm, you sound so callous, so hard? What about the children? What about them? They’re pawns and pawns always get sacrificed. As you know, when the world is upset, and most certainly when non-Judeo-Christian cultures are involved, the children always die. That’s a dreadful reality. If we save the Muslim children, we doom the nominally Christian European children, and vice versa. Because once the fight is fully engaged, the children always suffer first, it’s important when the fight begins to ask which culture is the one most likely to lead to future generations of healthy, happy, peaceable children. It’s not the Muslim culture, which happily sacrifices its little pawns to the greater Muslim good. Have you ever had a two-year old in your life, especially one who is on the younger side of two as that poor dead baby obviously was? “Please don’t die, Daddy,” is not what actual two-year olds say in moments of crisis. Instead, they are inarticulate screamers. We are once again being grossly manipulated into feeling compassion for an invading force by having that force sold to use as a pathetic band of refugees. And finally, let’s be honest — no sane society should ever, ever, ever invite a horde of Muslims in. Remember what I said about conquest being in their nature? Even if every one of these health, military aged men was in fact a refugee, all those men will still play the scorpion to the helpful frog and kill it. Muslims are not like other faiths. Even the Jews that Europeans so hate never forced conversions or raised arms. Indeed, they never did anything, which is what forced the Europeans to rely on conspiracy theories that had them busily connecting invisible dots with imaginary lines to justify the horrors they visited upon an insular, non-conquering culture. Muslims, however, are in-your-face conquerors, which their prophet required them to do. That they follow this dictum closely is borne out by 1,400 years of Muslim history. But back to the central point, why, then, if America sheltered my family, must the West turn back the refugees of Syria, of Somalia, of Libya? Because they bring the source of infection with them. Armenians had managed, through some strength I sometimes find difficult to fully grasp, to hang on to their European culture and Christian religion through millenia of conflict with Islam. They had stubbornly resisted assimilation into Islam and its ideals. These refugees, for all that my heart yearns to give them sanctuary and a place to escape to, nonetheless carry Islam with them. There are good Muslims in the world, and I want to make this clear. My own family lived only because an Ottoman official warned my great-grandfather that genocide was coming. This man, whose name I cannot remember — something that genuinely pains me, for my grandfather died when I was young and his stories are almost dream-like to me, now — paid for the ticket to America for my family, for English language lessons, and everything else needed to escape before it was too late. I hope that I will meet this good and righteous man in the life to come. I hope God saw fit to accept him into His kingdom. But Islam nonetheless is a contagion, even if some maintain a stubborn moral immunity to the infection. Where Islam goes, this violence will follow. You will never save all the little boys, you will never stop the slaughter. All you will do is bring it to your own shores. And if there is something I know for certain, it is that my ancestors did not escape Islam only to see their descendants fight it again, once more in their own homes. There are many good Muslim people around the world, I’m sure of it. But we cannot make policy based upon individuals. To survive, a society has to make policy based upon its best guess about how a mass of individuals will behave. Using history as our guide, the best guess is that, if you invite millions of Muslims into Europe, they will not become Europeans; instead, in a very painful, ugly, bloody, expensive, destructive way, Europe will become Muslim. If I were really being compassionate, I would say that we will take in these Muslim refugees, but that all children under the age of 14 must be placed in actively Christian families, baptized, and brought up in the Christian faith. I would also require all adult immigrants be forcibly assimilated into Western culture in every way possible. No creating sub-cultures in ghettos, banlieues and, eventually, entire towns. Thinking about that last step, though, I’m not sure it’s possible. So here’s the deal: We’ll take the children, subject to the Christian upbringing condition described above, but the adults have to stay behind.